For many people who are considering options to replace their permanent teeth due to tooth extraction or damage, whether that is with dentures, dental bridges or dental implants, they often ask, “How long do these various things last? 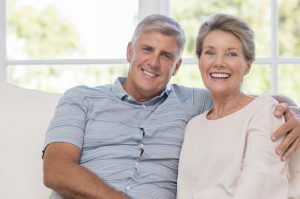 Will they last a lifetime?” One of the main benefits of dental implants is that with proper oral hygiene and care, they can last for several decades or even a lifetime. Read on to learn more about dental implants from Monrovia dentist Dr. Q, and how to keep your dental implants for a lifetime. Dental implants are a permanent solution to replace knocked out or extracted teeth. With a dental implant, an impression is taken of your tooth (if possible), and then both temporary and permanent crowns are made out of zirconia. After the impressions are made, Dr. Q refers you to a trusted oral surgeon to insert the titanium dental implants into your jawbone, to mimic the root of a tooth’s placement in the jaw. Once the oral surgeon inserts the dental implants, the temporary crowns are placed. When the permanent crowns are ready, the temporary crowns are removed, and the permanent crowns are attached to the dental implant. What Do I Need to Do for My Dental Implants to Last a Lifetime? The first step to keeping your dental implants for a lifetime is to follow your oral surgeon’s instructions very carefully. Getting dental implants is a 4 to 6-month process, and your oral surgeon recommended by Monrovia dentist Dr. Q will likely want to see you several times during the dental implants process. Immediately after placing the dental implants, your oral surgeon will most likely want to see you in about two weeks to make sure your jawbone is growing over the titanium dental implants. Your oral surgeon will also want to see you intermittingly to ensure you are healing properly, and if you are experiencing any complications from your dental implants. Once the dental implants process has been completed, your oral surgeon will release you back into the care of Monrovia dentist Dr. Q. After getting your dental implants, it’s important that you keep up your regular 6-month checkups with your Monrovia dentist Dr. Q. At these appointments, make sure tell your dental hygienist that you have dental implants so they can be properly cleaned. In addition to keeping your 6-month check-ups, you will want to practice good oral hygiene every day, in order to keep your dental implants for a lifetime. This means you’ll need to brush your teeth and dental implants every day for 2 minutes. You will also need to floss once a day – before you brush your teeth so that as much fluoride from your toothpaste stays in your mouth as possible. I Have More Questions About Dental Implants. Who Should I Call? If you’re considering getting dental implants, then call Monrovia dentist Dr. Q today at (626) 599-9819 to schedule a consultation, where she can answer all your questions about dental implants.